When it comes to reaching your weight loss goals, don’t play catch up this bikini season. You can burn more calories, and lose more weight and body fat, simply by tweaking your habits, starting now. Here are five fat fighters to boost your metabolism and maximize your weight-loss progress to get you in tip top shape before summer. Eating spicy peppers is like doing a small workout, without lifting a finger! 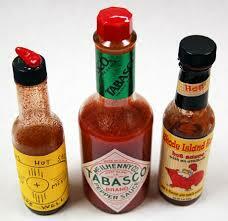 Studies show that the chemical compound capsacin, found in peppers, speeds up your heart rate and metabolism. In one study, dieters who didn’t normally eat spicy foods ate a soup seasoned with cayenne pepper for lunch, resulting in them consuming 60 fewer calories at their next meal and burning an extra ten calories. While this is a small amount of calories, every little bit counts, especially when combined with other fat fighters throughout the day. Keep crushed red pepper on the table to spice up everything, including: scrambled eggs, soup, pasta, chicken or tuna salad, into bloody mary’s, hummus or even low fat mayonnaise. Or add hot peppers to tossed salads and onto sandwiches. Aside from the general help low calorie beverages provide by filling up your tummy with liquid volume so that there’s less room for food, green tea also contains caffeine, which is a natural stimulant that can help you body burn more calories while at rest. Also, green tea contains a compound called ECGC that may help give your metabolism a slight boost by speeding up the brain and nervous system. Adding sugar will counteract that calorie-burning advantage so be sure to enjoy it unsweetened. Some creative ways to enjoy unsweetened green tea include: making oatmeal with unsweetened green tea instead of water or add iced green tea to a smoothie made from low fat vanilla yogurt, banana, and a handful of frozen berries. For a metabolic boost, aim for 3 cups a day. Greek yogurt is packed with protein, calcium, and potassium – nutrients with major fat fighting capabilities. Eating low fat protein helps to preserve muscle mass during weight loss, keeping metabolism running at full speed. Countless studies have shown that protein can help boost metabolism, lose fat and build lean muscle tissue so you burn more calories. Dairy products, in general, may also boost weight loss efforts, according to a recent study in Obesity Research. People on a reduced-calorie diet who included three to four servings of dairy foods lost significantly more weight than those who ate a low-dairy diet containing the same number of calories. Low-fat yogurt is a rich source of weight-loss-friendly calcium, providing about 450 mg per 8-ounce serving, as well as 12 grams of protein. 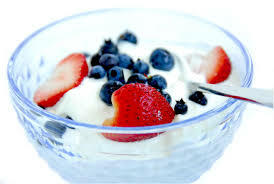 Yogurt also contains potassium, which rids the body of sodium, helping to banish bloat. Salmon contains large amounts of omega-3 fatty acids which, besides being incredibly healthy, seem to affect metabolism. Fish that contain omega-3 fatty acids (EPA and DHA) increase the levels of fat-burning enzymes and decrease the levels of fat-storage enzymes. From salmon sashimi, to grilled salmon over a salad, you will not be at a loss for ways to incorporate salmon into your diet. One of my personal favorites is lightly coating salmon in honey mustard and baking it on 400 degrees in the oven for 20 minutes and pairing it with roasted veggies. Jicama is a low calorie root vegetable with a crisp texture and a slightly sweet flavor, somewhat similar to an apple. Jicama is a high-fiber food and a good source of anti-bloating potassium. 1 cup of raw jicama clocks in at only 46 calories and a whopping 6 grams of fiber. Because fiber acts like a sponge in our bodies, it absorbs and moves fat through our digestive system faster so that less of it is absorbed. Jicama is usually eaten raw, sometimes with salt, lemon, or lime juice and chili powder. It can also be added raw to fresh fruit salad or cooked in soups and stir-fried dishes. A personal favorite snack of mine is to cut jicama into thin wedges and dip it into hot salsa. Jaclyn Tane, Nutrition Consultant and Blogger, Dietitian at Red Light, Green Light Eat Right, and Virtual Nutrition Consultant for www.caloriecount.about.com. hello there and thank you for your info – I have certainly picked up anything new from right here. I did however expertise a few technical issues using this website, as I experienced to reload the site many times previous to I could get it to load properly. I had been wondering if your web hosting is OK? Not that I am complaining, but slow loading instances times will very frequently affect your placement in google and could damage your quality score if ads and marketing with Adwords. Well I’m adding this RSS to my e-mail and can look out for much more of your respective interesting content. Make sure you update this again soon..